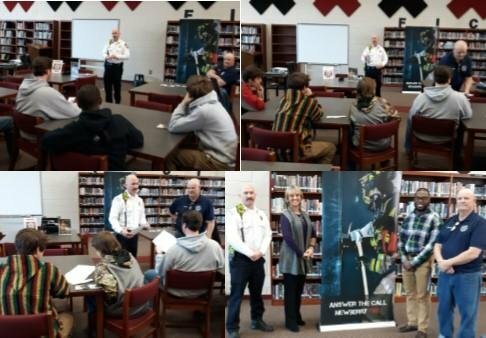 Mid-Carolina High School students were able to attend a presentation by the Newberry County Fire Department on their Explorer Program on Thursday, January 31, during both lunch periods. This program is available for individuals between the ages of 14 and 18. The Explorer program gets our youth involved in training and educates them on the fire services and department. The program assists in response and with the community risk reduction program.